Cleartrip is an Indian online travel company providing online booking services for flights and train tickets, hotel reservations, domestic and international holiday packages. It is amongst the top Online Travel agencies in India. Dlogix team partners and offers professional services in setting up the Analytics and HR Technology sub functions, manage compensation and benefits programs, works closely with management team in strategic and design thinking, aligning HR philosophy to business objectives and playing the role of HR Business Partner for their Technology division. Swiggy is a food ordering and delivery company based out of Bangalore, India. Swiggy was trying to create the foundational structure for the Organization, Compensation and Analytics function and were seeking HR Technology design thinking and support. On the Compensation side, Dlogix designed and supported implementation of the Job structures, fix the pay ranges using scientific approach and methodology and long term retention plan. Partnering for Darwin box HRMS implementation and laying the foundation for Analytics was other areas of work. Ejyle is an agile software services company. They are passionate about solving problems and building great software solutions. They help clients to innovate quickly, improve efficiency, drive down costs, and get ahead of competition. One such project was re-engineering of HR Management System to make it more customizable and meet the current industry practices and needs. Ejyle had the technical prowess and wanted functional experts. Dlogix Team is partnering with Ejyle's technical crew to together rebuild this HR product end to end by playing the role of a Domain expert and Business Analyst. Mystifly Consulting India Pvt. Ltd.
Mystifly is an Anywhere-to-Anywhere global airfare marketplace, offering airfare consolidation from 900+ airlines across the globle. Mystifly facilitates global travel companies to offer ticketing fulfillment services across diverse geographies to their customers. Dlogix team partnered with Mystifly in studying the Market Benchmarking study report, using it to meaningfully define their pay structure alongside a broad compensation philosophy. They were supported with a simple and easy to use tool to complete their compensation review process in a seamless manner. 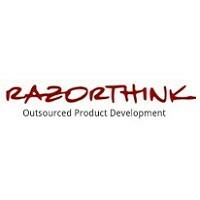 Razorthink is an organization providing advanced business solutions for large enterprises and technology companies. The company is headquartered in the San Francisco Bay Area and its Research Lab is in Bangalore, India. The company partners with many technology companies to provide embedded brains within their technology solutions. Dlogix provides advisory services to the HR team members of RazorThink in setting up their HR function end to end. Right from strategy to technology and process implementation, ensuring compliance through the flow has been the focus area.